Do you want to know the top 18 hunters and their success stories? Actually, they won the Stalkers Award 2017! There are countless hunters and their hunting blogs on the internet, but I have picked a few gems out of the thousand ones! You would like to know the legends and their exceptional blogs, right? Then do not go anywhere! Just scroll down to know the famous personalities along with their blogs information! Marc, who belongs to gothunts.com, is a great man who has an ultimate experience of the global hunting with outfitters in Africa, Canada, and New Zealand. He knows the tricks how to do a great hunt, and that is the best part of his personality. He provides a 100% free of cost consultation to the people who are eager to hunt successfully. He guides the people for a great hunting trip and plans it according to one’s budget. Not only this, but also he is the best selling author, avid bow hunter, mule deer enthusiast, and a skillful fly fisherman. So, that’s why he is on the top of the list! 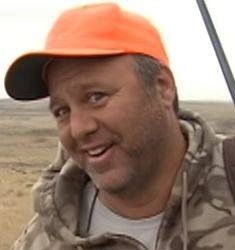 Kevin is the founder and CEO of the blog HuntingLife.com. He is a professional hunter who has proven his hunting skills outstandingly. He got interested in hunting while at the age of only 5. 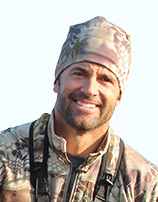 He owns the perfect expertise in the field of wildlife hunting, videography, hunting trips, and conservation. That is the reason why is he among the top hunting professionals. There is no doubt about his capabilities, skills, and proficiency. 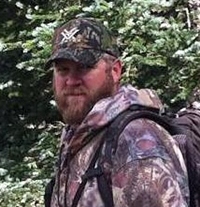 He has been proven a passionate conservationist and hunting pro. Alex is the founder of Bookyourhunt.com, that is one of the top hunting blogs ever. That is the reason, he is on the list among the top hunting professionals. His work is remarkably outstanding. This blog is serving the best way possible for the passionate hunters around the place. The hunting trips are planned by the professional team members to provide the great hunting outcomes! 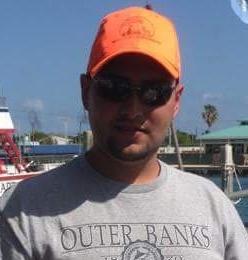 Joseph is the owner of nyantler-outdoors.com. This blog is all about the deer hunting tips and tricks to find the perfect outcomes. There are also a number of deer hunting stories published on the blog. The reason why this blog is added in the list of stalker awards 2017 winners, is that: the devotion, prominence, hard work, and capability of the owner. There is a set of special achievements among the field of hunting and related departments. 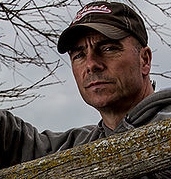 Gregory is the founder of MilitaryHuntingandFishing.com, that is one of the top most blogs related to the hunting tips and tricks. This blog is conveying lots of precious information about the skills related to hunting and fishing. The website is growing with the passage of each moment. Gregory is patriotic and nationalist to his country. He travels around the world, and he is much passionate and fanatic to the hunting and fishing activities. He is doing an outstanding work, no doubt! Ian is the hunting Author at goodhunt.blogs.theledger.com. He has proven his skills and superlative qualities, by his content published on the blog itself. He is presenting the best information about hunting in a very comprehensive and impressive manner. One can achieve the ultimate hunting outcomes by following the content of this blog. So, there is no doubt about the deep authenticity and power of this blog and its content. 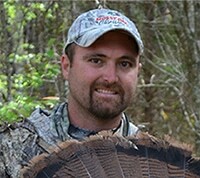 David is the founder of RaisedHunting.com. It’s all about the greatest hunting experience regarding to the North America and the use of reality-based adventures from the hunting journeys. It is about capturing the raw emotions of the animals and then presenting the best cinematography. So, the blog is matchless as it holds an exemplary significance around the online world. 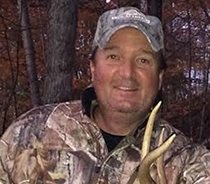 John is the founder of DeerHuntingGuide.net. It is all about the best guides, tips and tricks about the deer hunting practices. There is no any topic that is left of this outstanding website to convey the information about. 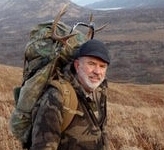 John has presented a precious blog that is full of information to achieve the best results of the deer hunting trips. Brad is the owner of AltitudeOutDoors.com, that is a marvelous blog itself. He is doing remarkably great work on his website. The blog covers all of the necessary information regarding the hunting practices, that is actually matchless. Brad had got the eagerness of hunting at a very young age, inspiring from his father. He is passionate about the big game hunting and that’s why he spends lots of his time around the mountains. 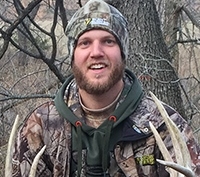 His superlative hunting skills are the reason why has he been chosen for this awards list! 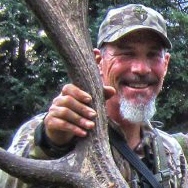 Willi is the host at PureHunting.com. He is a sportsman basically, and he started the hunting at a very young age. He used to hunt the ducks, doves and pheasants with his dad. His passion is growing with the passage of time. He has done a number of remarkably great adventures related to hunting; so, that is the reason he is here in this awards list! Noah is the founder of theoutdoorsguy.com. This blog is all about traveling, hunting, fishing, conservation, hiking, camping, equipment and lots more. It also includes the recipes, that are too delicious. Noah is teaching the people how to grow their passion for hunting/fishing like tasks. So, that’s why he is included in the stalker awards list! Shawn is the founder of HuntingFit.com. It is all about the training, hunting, nutrition, and much more. In this blog, there are first-rate tips and tricks that are too much effective for the beginners as well as for the professional hunters. So, due to the unique work related to hunting, he is here in this list! 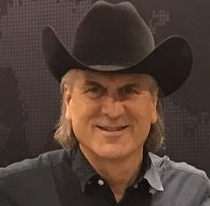 Dr. Ken is the founder of drnordbergondeerhunting.com. This blog has a lot of precious treasure related to the hunting. 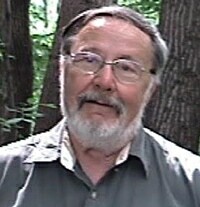 He has been studying the wild whitetails for around 47 years. He has been writing articles for the magazines for about 37 years. He has written the best kind of books about the deer hunting. He is an avid buck hunter as well. 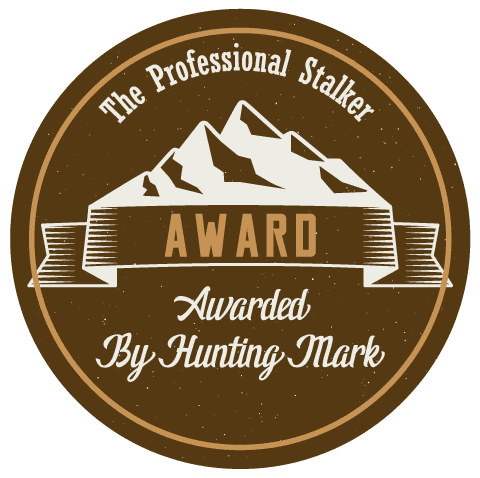 So, those reasons are too valid to include him among the top hunting professionals who won the stalker award 2017! 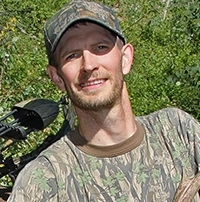 Steve is the CEO and Founder of the blog known as chasinwhitetails.com. It is all about the effective information about the fly fishing, bow hunting and much more. The recipes are also included in the website to make it more worthy. Everything present on this blog is unique and impressive. Undoubtedly, it is a great work by Steve. So, that’s why he is included in this list! Jason is the owner of suhuntandfish.com. This blog is an extraordinarily impressive and informational one. It’s all about hunting and fishing. Jason is doing a great job regarding to the hunting/fishing adventures, in which his family has supported him a lot. His exceptional work is the reason why is he included here in the list! 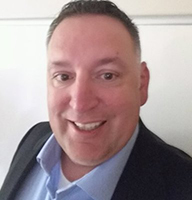 Adam is the founder of transitionwild.com. It is all about the outdoor adventures and growing in the natural environments. 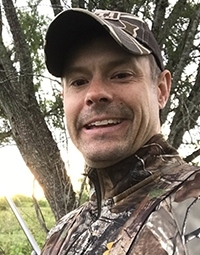 Adam is an avid bow hunter, who got a deep interest in hunting activities during his childhood. Hunting is more than a passion for himself. He does fishing, hiking, camping, hunting, mountain biking, whitewater rafting and lots more. That’s the reason he is here in the awards list! 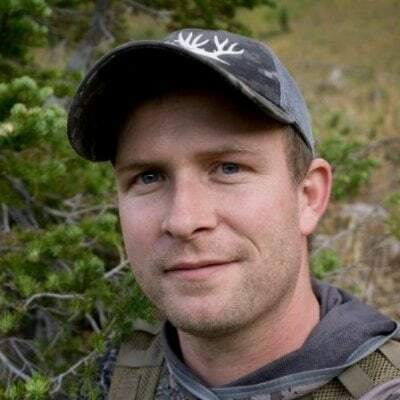 Nathan is the founder of zenbowhunter.com. He is also an author and photographer for this blog as well. He belongs to a rural area of West Weber in Northern Utah. He became a small game hunter when he was 12 only. And later on, he tried the big game hunting successfully. His excellent and superlative practices are the reason why is he included in this list! Roger is the founder of huntingadventureswithrogermorris.com. He belonged to the West Virginia, where he started small game hunting. Later on, he achieved the exceptional goals regarding the big game hunting as well. There are a lot of precious information and guides available on his blog that is the best one about hunting. That is the reason, he is included in the awards list! So, These were the top hunters, who have shown the world that they are the greatest ones. There are the most solid reasons present why they have been added to the awards list. Their hard work, devotion, dedication, and enthusiasm speak up in the form of their matchless blogs! Many many congratulations to all of them for the outstanding achievements and success! Copyright text 2017 by Hunting Mark.